Today on Meet the Maker, we're talking with Elizabeth Huller Eisemann, an artist living in California. 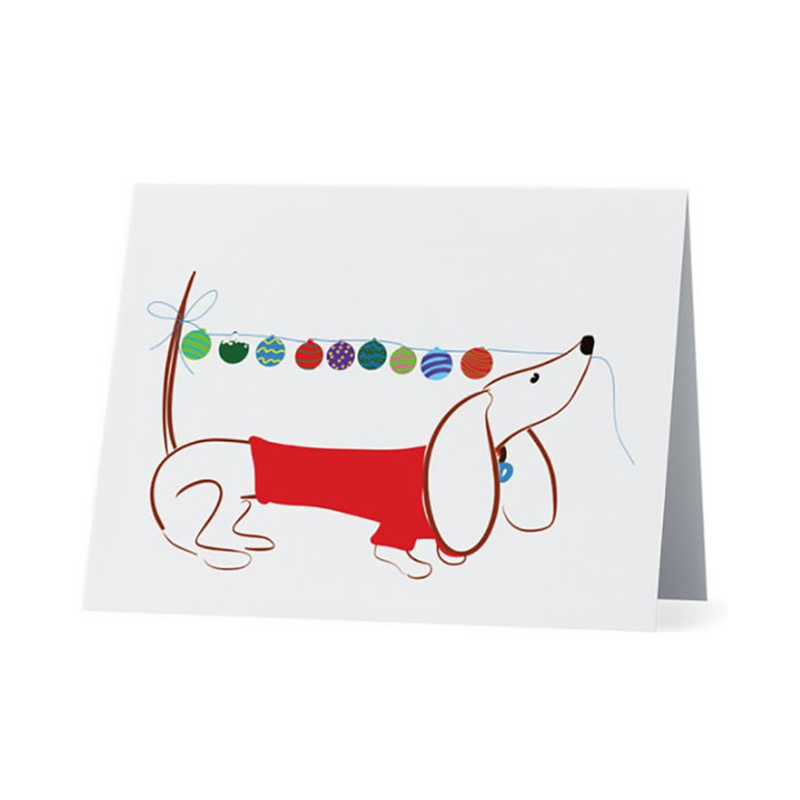 Huller Eisemann is known for her whimsical drawings of her Dachshund, Gilmore, which she sells on gifts and notecards in her Etsy store. I make greeting cards, t-shirts, hats, reusable grocery bags, and mugs. 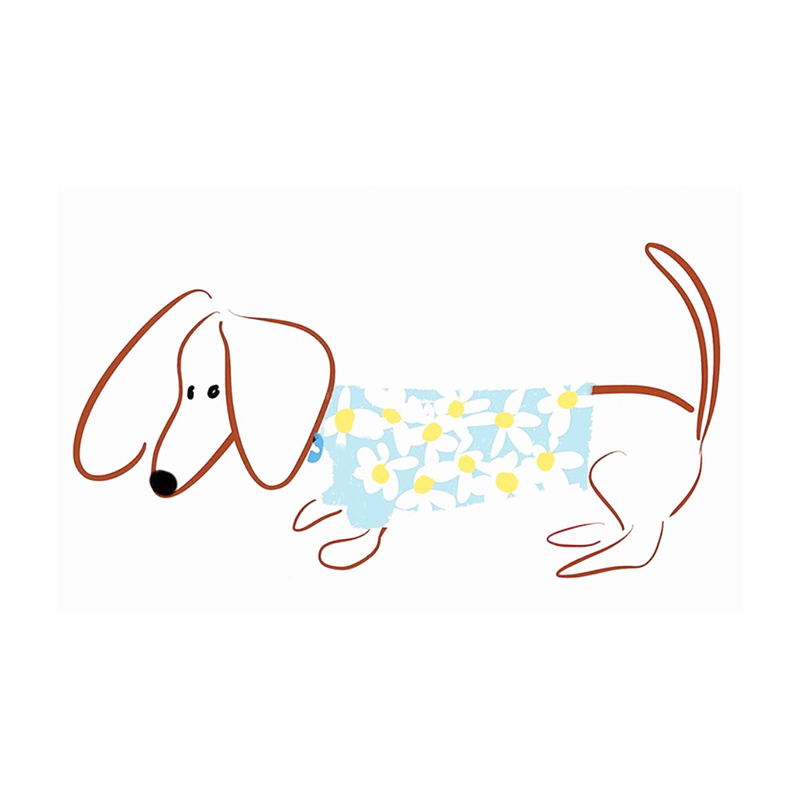 Everything is printed or embroidered with drawings of Gilmore the Dachshund©. I'm also open to commissions and custom orders. My drawings are done digitally. I use an iPad and a few different apps. My favorite paintbrush is the Japanese tipped brush because the lines are fluid with a lot of movement. Sometimes I will draw the same line over and over just to get the best line. I'm trying my hand at stop motion animation, too! What inspired you to begin drawing Gilmore? I wanted to draw Gilmore from the moment he stepped out of his crate and into my lap! 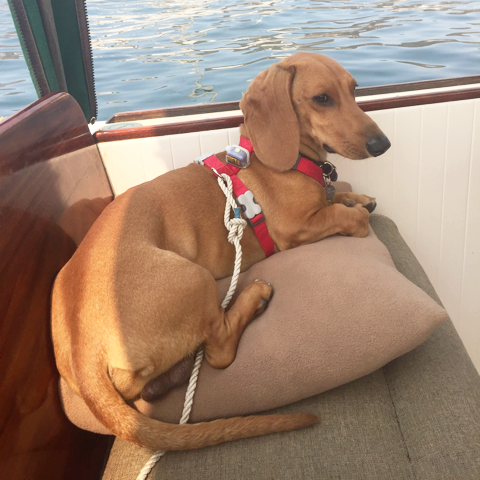 My husband had researched far and wide for a big red standard Dachshund, and we found a truly wonderful dog with Gilmore. He came to us on a plane from Texas in August 2015 at four months old. 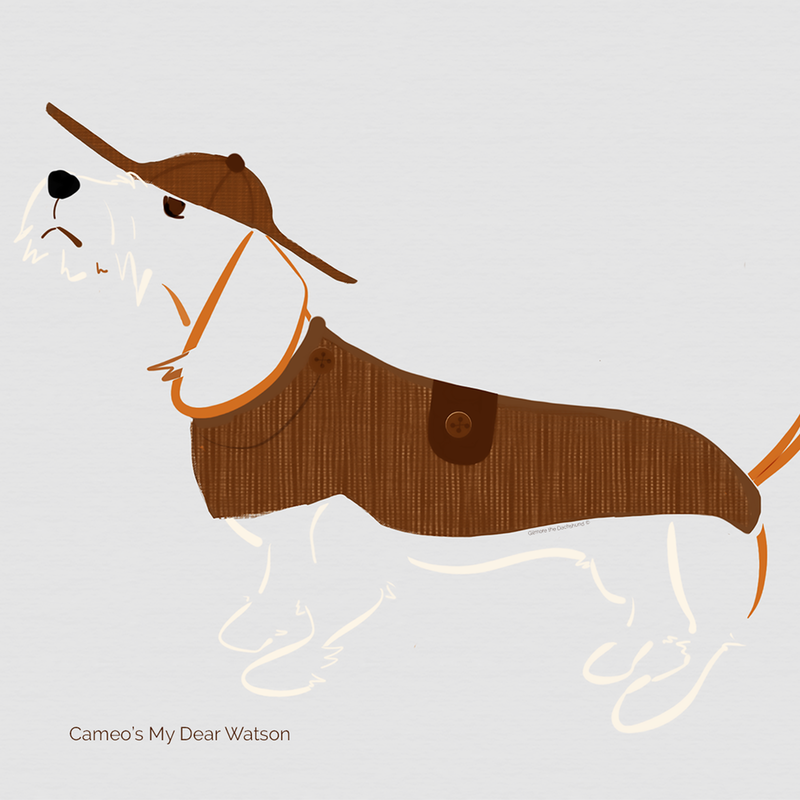 I drew our Wire Haired Fox Terrier as a child, and I immediately knew Gilmore would be the perfect muse. Dachshunds are extremely entertaining. Sadly, his bark has lost its southern drawl, but he is a sweet, funny, gentle, and very handsome Dachshund. Gilmore is everyone’s favorite dog. I draw at my desk with Gilmore sitting on my feet. What’s your process for creating a new drawing? I try to post a drawing on Instagram every day, and some days it can be difficult coming up with fresh ideas. Gilmore is a relatively well-behaved dog and hasn’t done any of the very naughty things I draw—like taking down a Christmas tree or pushing the head off a snowman. We live in southern California so the inclement weather drawings are mostly pretend, too. 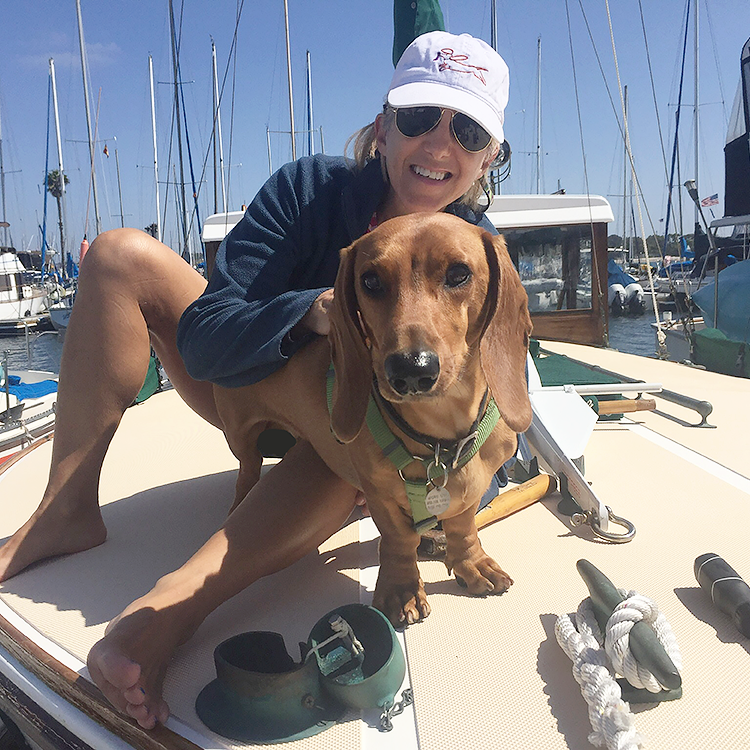 Gilmore loves to be on our boat and paddle-boarding with me is his favorite thing! What’s your favorite item in your store right now? The newest addition is a gray t-shirt—but I want one in every color. Dapple readers can get 15% off in my Etsy store by shopping through this link or using code THEDAPPLE. Want more Gilmore? Follow Huller Eisemann on Instagram, Twitter, Facebook, or her website.